From Wi-Fi, click the Settings tab. From Settings, click the Wi-Fi switch turn on or off . 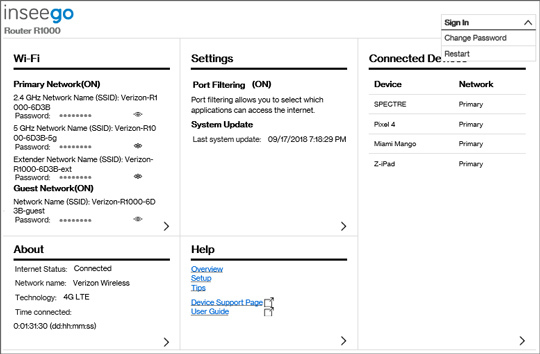 Wi-Fi is on by default and turning Wi-Fi off disconnects all wireless devices. Band is enabled when a check mark is present. 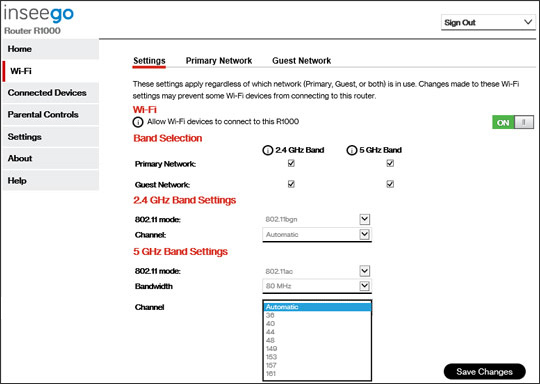 Based on the Wi-Fi option selected, channel options vary.